If you think about the most difficult path to success in the highly competitive arena of Formula Drift, you may come to the conclusion that Australian Josh Robinson has taken it. 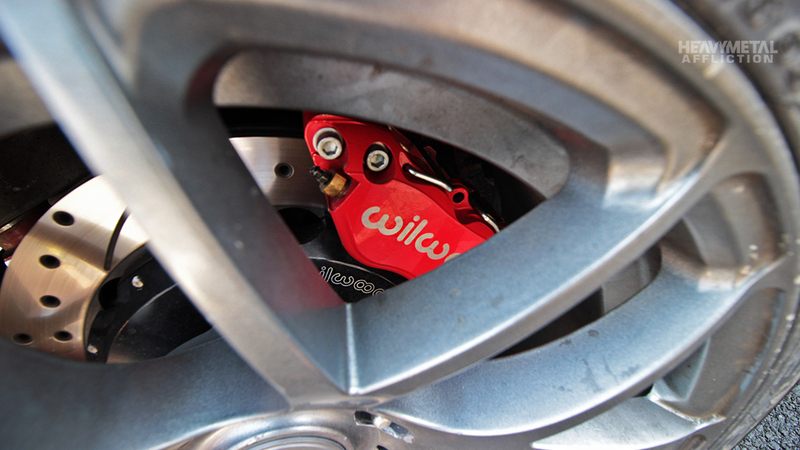 For starters, he chose an unlikely candidate for his drift car. Secondly, he lives 15,000 miles away, and most of all he did it all with his own team. Let’s take a look at those individual factors to put it all in perspective. Most exciting is obviously his 2016 Holden VF Maloo Ute. 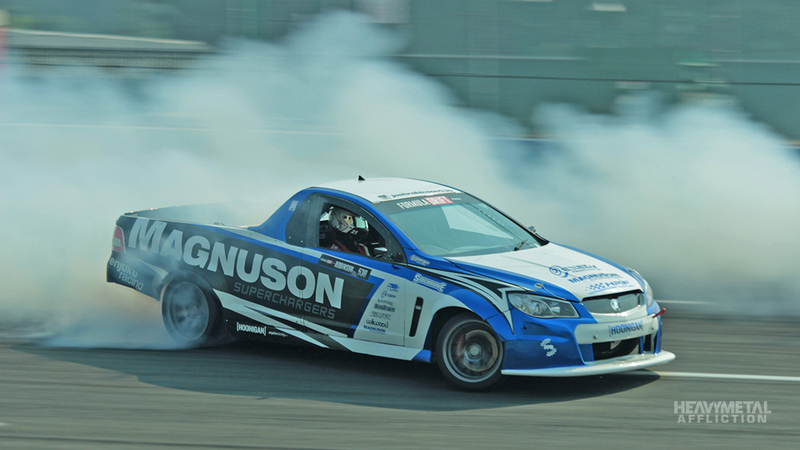 This is the first Ute to drift in the Formula Drift Pro 2 series and it required special permission to be allowed to compete. There is a no trucks rule in FD, and technically the Ute is a truck since it has a bed, but also technically it is a monocoque chassis. That means it is not a frame rail vehicle like a Ford F-series or even a Ford Falcon Ute. So it was allowed, but that was only the first hurdle. For the record, frame rail vehicles have different handling characteristics, hence they are not allowed. Plus their weight is excessive and presents a safety issue. Robinson’s Ute is heavy, and it has been radically modified to reach the 3,900-pound weight limit, but also to be competitive. To get there Robinson took on the monumental task of building a full carbon-fiber body. This required the massive work of building all the molds for the panels, as well as a full donor vehicle. Robinson laid up all the fiberglass (for flexibility) and Kevlar (for strength), which allowed the Ute to shed hundreds of pounds while retaining rigidity. The truck is strong enough that he hasn’t broken a panel all season, and when Pro 2 driver Trent Beechum railed his wheel up against the door, it only left a couple scratches. “It didn’t meet the maximum weight requirements, even with the carbon fiber body,” Robinson said. So they went much further re-engineering suspension parts, replacing the driveshaft with an aluminum one, and cutting off every bit of unessential steel. They also made the uncanny goal of removing 70 pounds between every event. So far they have met this goal. As for Hurdle #2, Robinson is originally from Perth, Australia. He grew up loving cars, starting first with a Toyota Corolla Seca that he says, “taught me to play with cars, that might be made to be interesting.” He moved on to Mitsubishi Lancers, first a 1.6-liter coupe, then a Lancer GSR, the baby brother to the Evo. It was around this time he got into rallying and eventually time attack racing. He later built a 2-door “Evo.” It was, “the Evo Mitsubishi should have built, but never did,” to compete with the Subaru 22B. Robinson said. His build remains to be one of the few in existence. Robinson isn’t afraid to do things his way. He is a self-made business man, who found success originally with designing neoprene cases for laptops, and has turned that into several other enterprises which partially (along with sponsors) fund his true passion of racing and drifting. Robinson hates sitting at a desk, but is very business-minded and is able to talk about things like KPIs as easily as he can talk horsepower. In his own part of the world he found success in motorsport, and was taught to drift by top Japanese drifters Andy Gray and Naoto Suenaga-san (Team Orange). 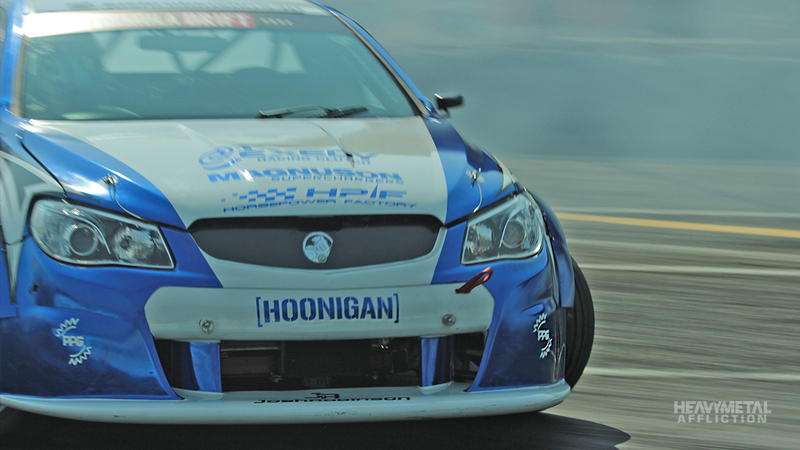 He began drifting in Japan in 2013, while building his first drift Ute for competition in Australia. In Japanese G1GP champioship , he took runner-up. In Australia he finished second behind Chelsea Denofa at an event and did well all season and then set his sights on America. 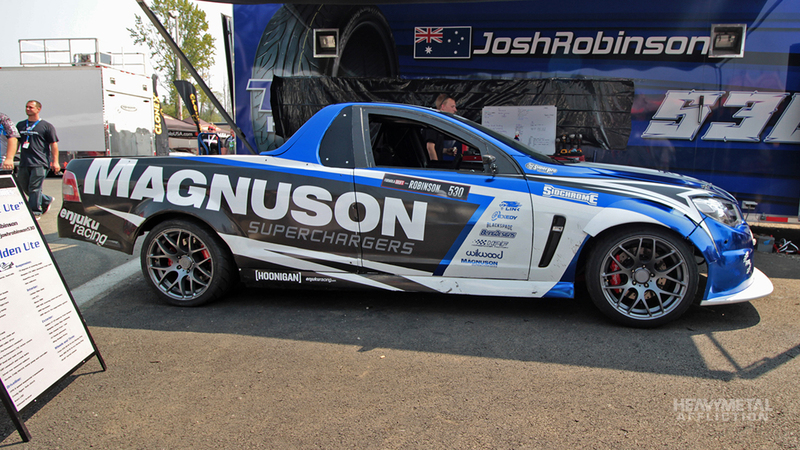 Over the course of 2016, he and the folks at Horsepower Factory of Australia put together the 1,000-hp Ute, he competed with it in Pro 2 in 2017. 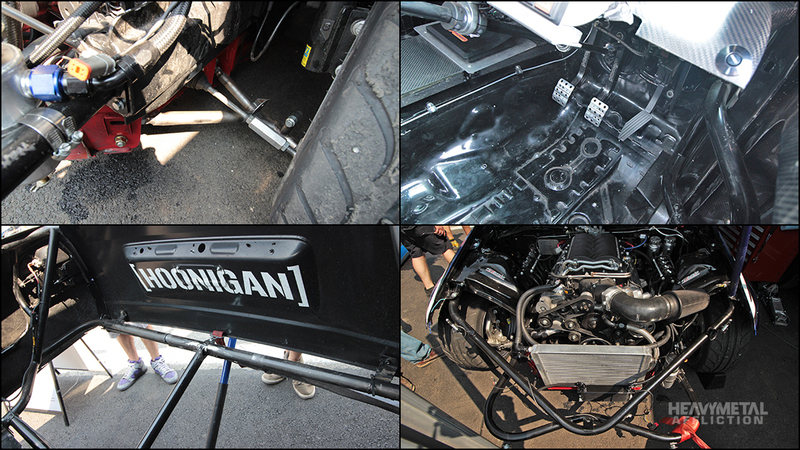 The Ute was shipped over in a container incomplete, and reassembled for its debut at Hoonigan headquarters, where they said it was the craziest car they had ever featured. 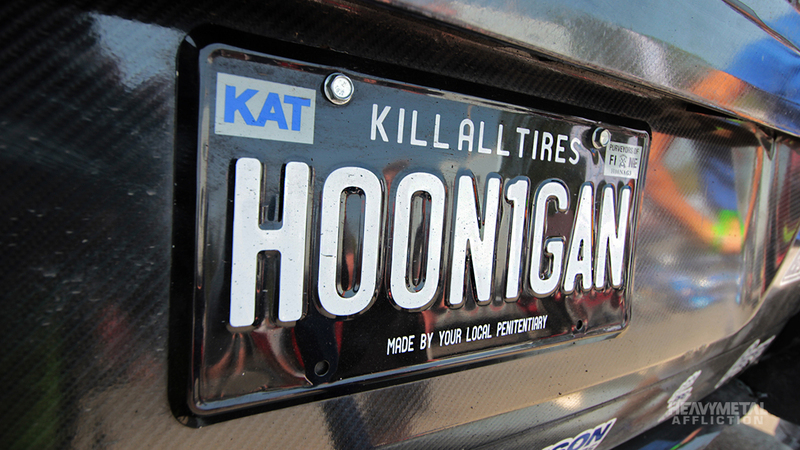 It could quite possibly be the inspiration for the Ute the guys at the Donut Garage are building that you will be able to drive in the Hoonigan Car Pack for Forza Motorsport 7. It was also shown at SEMA in 2016 as it will be this year. You don’t see Utes in the States, which means there are next to zero parts for them, and absolutely zero aftermarket parts. Fortunately, the chassis is essentially a Pontiac G8, or Chevrolet Super Sport but that only helps with some parts. The Ute is big, it is long, and it competes against the Nissan S-chassis, among other models, where stock and aftermarket parts are abundant. 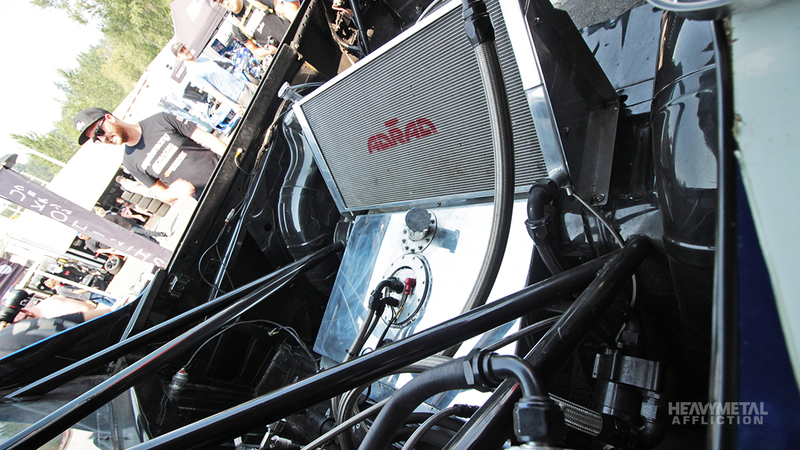 “All of these things mean it’s a terrible idea for a drift car,” Robinsons said, “and no one should ever attempt to do this.” In all honesty, Robinson loves his rig and wishes others would build them, but that is unlikely. Then, there is the huge difference in the tracks. Australia has two high bank tracks and one of them is closed due to its poor condition. 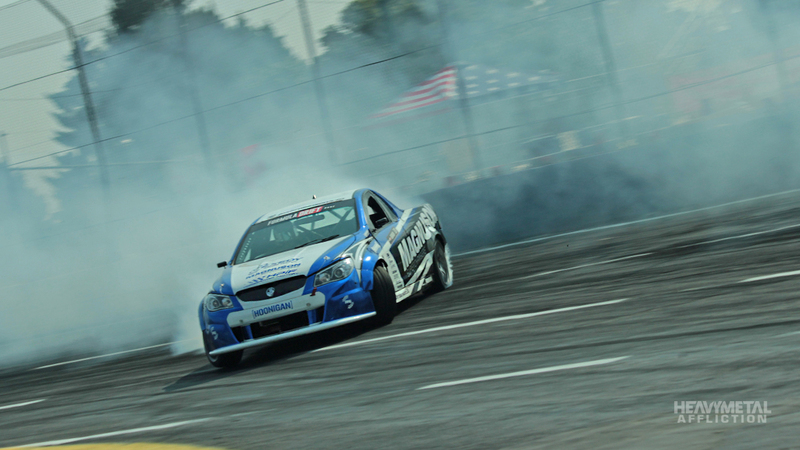 Drift events tend to be much slower, with mostly third gear entries, while stateside FD events are usually fourth or even fifth gear entries. Then there is the social media and fans. “It seems like even the gas station clerk has 30,000 Instagram followers,” Robinson said, “it’s so big [in the States].” So he has had to step up his game in the social arena. Which means when he isn’t working on his Ute, or driving thousands of miles across the nation, he is trying to keep his ever-growing fan base updated on his adventure. I asked him how he does it, and he applies what he is known as the “four-burner theory.” To find success in one area of your life, you have to sacrifice something to reach goals in another. With family, friends, health, and career being the four-burners, you have to turn some off to burn hot in the others. This last year Robinson has turned off three burners. He hasn’t seen his family and friends in nearly a year, and his health has suffered. These are things he plans to rectify in the off-season. So as you can imagine, sleep is something Robinson has lost touch with, he runs on just hours per week. Next year his team will be going Pro, which means even more work and more cost. It’s all worth it because this is what he loves. 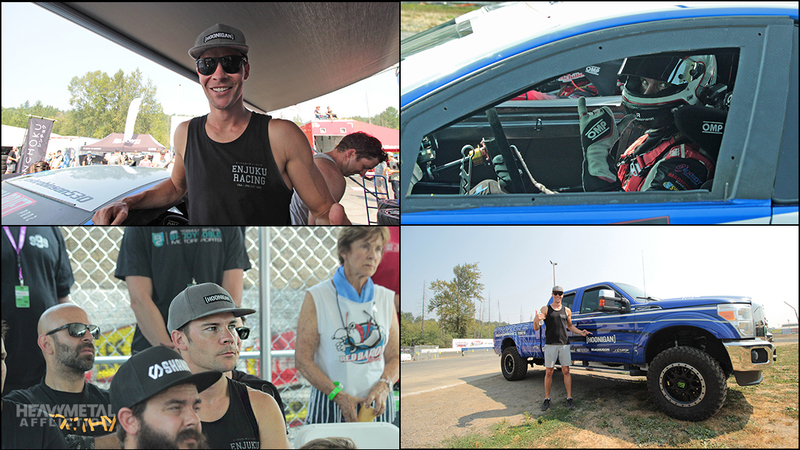 In the driver’s seat is where he belongs and giving fans a view at a Ute doing far from what it was designed to do is a spectacle all of its own. If you would like to contribute to Robinson’s success, he has posted a livery contest asking top Forza painters to design his next livery. He will pick the best livery based on his needs and the factors he expresses in the post. The livery will be on his Ute and will debut at SEMA 2017 at the end of October. Check out the post for details and good luck to those who submit a design.